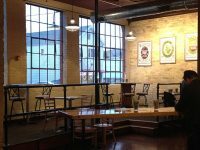 Urban Harvest Brewing Company opened in Milwaukee’s Walkers Point neighborhood in April 2016. They brew several small batches of lagers and ales per week and offer a taproom Thursday through Saturday for sampling. Beers they craft on a fairly regular basis include their 414 Golden Ale, Black Puppy Pale Ale, their Falls Pilsner, Who the HELLES Alice? (a straw-blond light Czech lager), H.C. IPA, Nookie Nookie (Chinook Citra Pale Ale), PriBock, Olde Towne Amber, Corkscrew IPA, an Espresso Amber, and the interestingly-locally-named Ach Ya Der Hey-Fe Weizen. Seasonals and specials include brews like their Wicket Summer Wheat, Blood Orange Wheat, Festive Gourds Pumpkin Ale, a Maple Brown, Weizenbock, their Chocolate Whiskey Stout, some bourbon barrel-aged varieties, and more. You’ll find Urban Harvest Brewing’s taproom along 5th Street (Highway 38), just south of Highway 59/National Avenue. I-43/94 soars by within a block, and Highway 32/1st Street is just four blocks to the east. 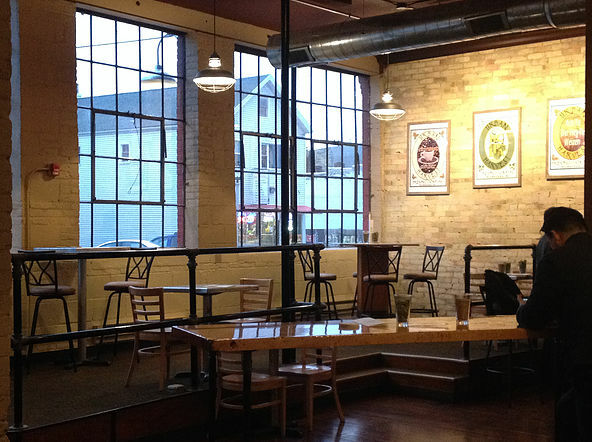 Another fairly new craft brewery, Brenner Brewing, is just a few blocks to the north. Near Urban Harvest Brewing are sights like the Harley-Davidson Museum, Potawatomi Hotel & Casino, St. Josephat’s Basilica, and more. Downtown Milwaukee is about one mile north.